If you are looking for a piece of modern coin collecting history than you should make it a priority to pick up this H.E. 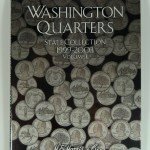 Harris Folder Washington Quarters: State Collection, Vol. 1 1999-2003. 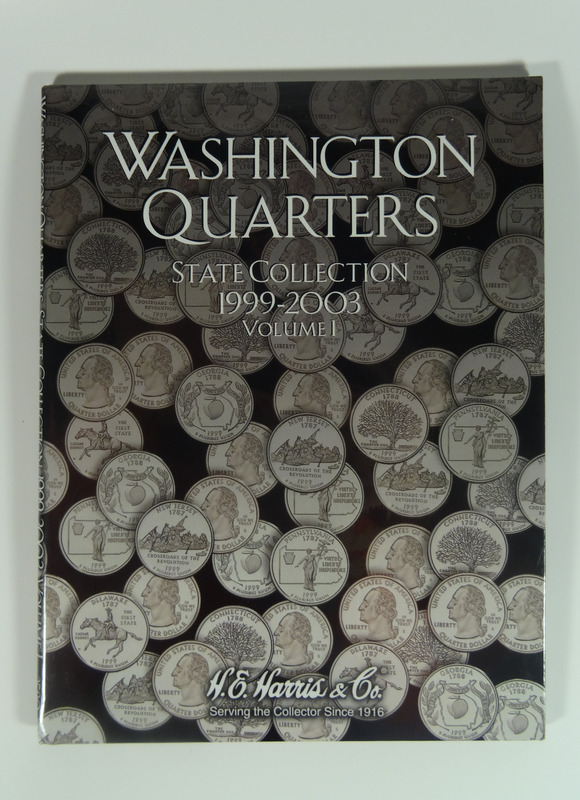 This hardcover coin holder houses a complete set of state quarters minted from the Philadelphia and Denver mints from 1999-2003. Though these coins were recently introduced, they each possess historical significance individually, as each state came up with its own design that commemorated its own unique state history. Some of the decisions were controversial while others were embraced by the masses. 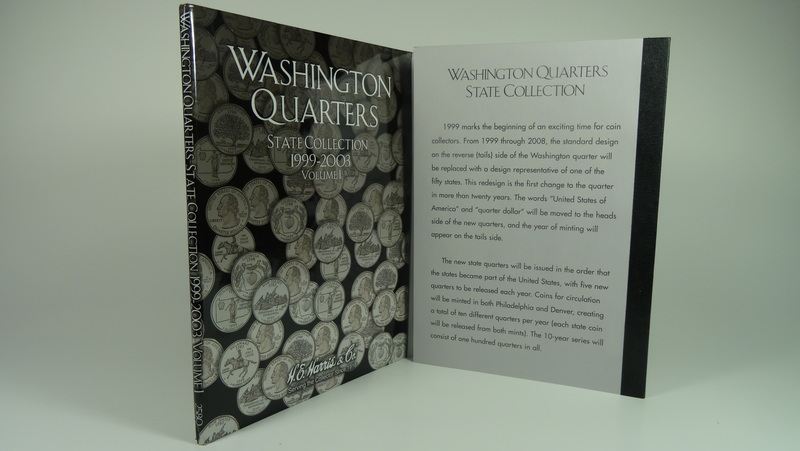 Each state quarter was released in the same order that the states ratified the Constitution. This handsome three-panel coin folder is an attractive way to display the entire collection and is a great coin storage solution. Because this coin display case consists of three panels, the entire set can be viewed at once. 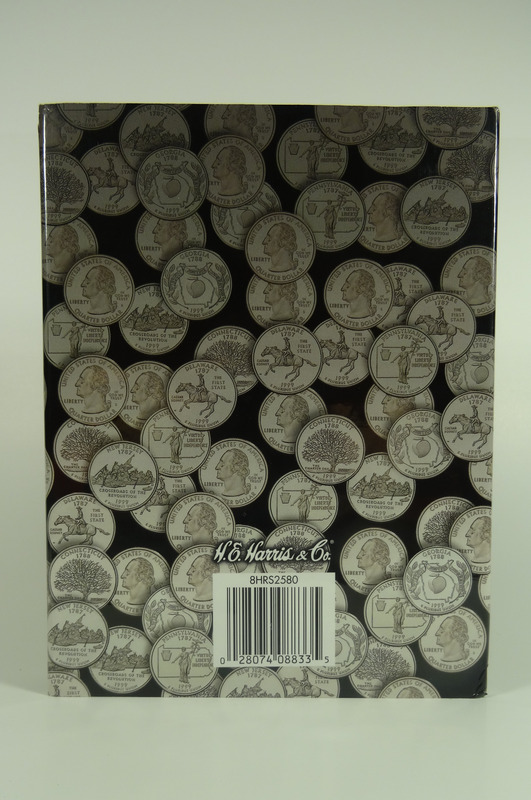 It features 60 labeled and unlabeled openings, and, as a bonus, the back cover provides detailed information about the history of this coin series. 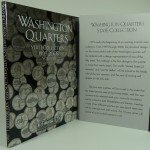 This collection would be a great start-up set for a beginning collector and also would make nice addition to an elementary school as a way to showcase and teach state history to its students. The H.E. 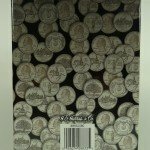 Harris Folder #2580 State Quarters Vol.1 1999-2003 P&D Mints is an attractive coin folder that features three panels with one port per coin, and is a perfect coin storage solution. H.E. Harris has been serving the needs of avid coin collectors since 1916. This folder contains 60 labeled and unlabeled coin slots. Size is: 6″ x 7.75″, and is volume one of three. This H.E. Harris Folder #2580 State Quarters Vol.1 1999-2003 P&D Mints will securely hold and preserve the entire set. These top-quality H.E. Harris folders are professionally crafted from the best archival-safe materials available on the market and are exceptional in coin collection safety and long-term protection.